I recently arranged for some handyman work to be done at my place. It turned out to be a catastrophe. Imagine that a week and a half later, everything that this person had started was still not done and on top of that, he or his work partner had incorrectly cut the flooring which meant that I had to spend a few hundred dollars to rebuy it since he didn’t have the money to re-buy it himself. As you can imagine, I was really disappointed so I told him I was done and decided to have somebody else fix and finish the job. On the day that the new person was suppose to start, I went to the bank, pulled out a few hundred dollars and then ran to Target because my almost 3 year old kept begging for a bubble gun. I bought him the gun. He was happy as could be. I put him in the car and I was about to leave the parking structure when it hit me that I didn’t have my purse. In that moment, you can imagine that my heart raced. I went back and it was too late. My purse was gone. I went to the mall security area and they said that my purse had been turned in. The moment they gave it to me, I could feel how light it was. It had been emptied out of all money including even change. I honestly didn’t expect that somebody would be so desperate as to even take every single coin they could find. In that moment, I had two options, feel bad for myself and think, It’s the 2nd day of the year and I’m already having such bad luck. What’s the rest of the year going to look like? or I could look at the situation in the best way possible. Maybe the person who found my purse was really needy and it all happened because it was suppose to. Maybe I was suppose to make that so to speak donation to them. As you can imagine, I chose the 2nd mindset because I refused to A) personalize what had happened and B) I refused to lose my happiness over something that I had no control over. Sometimes in life, we just have to focus on whatever positives we can find for the purpose of moving on with our lives. The truth is that bad things happen… not just to good people but everybody. We tend to act as though we know everything but the reality is that we don’t and for all we know, there might be a higher plan at work. Especially when we don’t have control over a bad situation that’s already happened, all we can do is accept the truth of it, connect to our emotional needs in that moment, if you believe in God, then to that higher power and ultimately, do what we need to do to move on. Usually that entails having the best attitude possible given the situation. The way I see it, f that’s what it takes, then so be it. 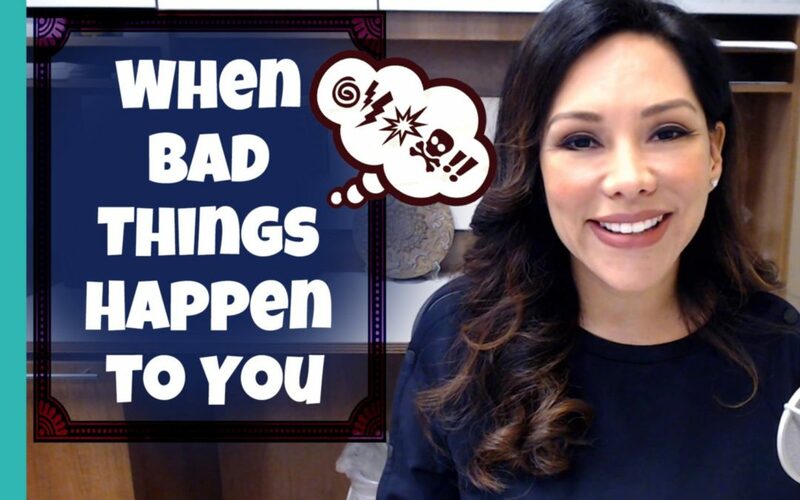 I hope my little real life story helps you to feel strong in the face of an unfortunate event or set of events.